Many class-action settlements don't return much money to the affected parties because many potential plaintiffs never claim their share of the settlement. In fact, rates are often lower than 1 percent in many cases. 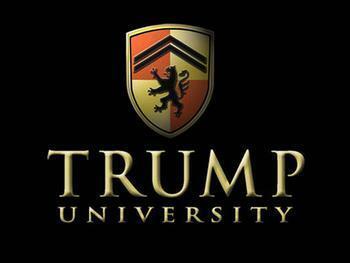 But then there's the $25 million settlement awarded to former Trump University students. More than half -- 3,700 -- of more than 6,000 former students have submitted claims, according to a Bloomberg report. No one is quite sure whether the unusually high rate is due to all the publicity the case drew -- it was, after all, decided as preparations for Trump's inauguration moved forward -- or whether it's because the average settlement per person is much higher than most class actions return. Claimants are likely to get about 80 cents on the dollar. With Trump tuitions ranging from $1,495 to as much as $35,000, that's a pretty healthy return for consumers covered by the settlement. The settlement provides a total of $25 million -- $21 million for ex-students covered in two class actions filed in San Diego and $4 million for students from New York who were covered in a suit filed by the New York Attorney General. In the suits, students said they had been promised that the "university" courses would provide them with the knowledge they needed to make huge returns in the real estate business. But most of the classes consisted of little more than sales pitches for additional packages, the students complained. Trump insisted for years that the accusations were groundless but agreed to settle shortly after he was elected president. U.S. District Court Judge Gonzalo Curiel is expected to grant final approval to the settlement today. Trump had criticized Curiel, an American born in Indiana, as being unfit to hear the cases because of his ethnic background and because he was a "Trump hater."